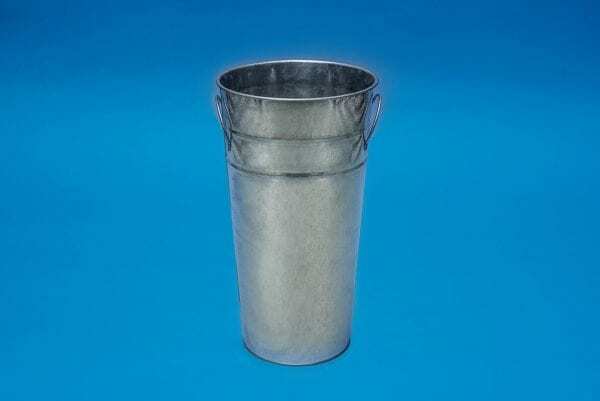 Display your #36 Inch or #20 Inch Gold Wedding Sparklers in these lovely metal buckets! Fill with sand and place sparklers in the bucket to create a beautiful display and to let your guests know there will be a glamorous sparkler send-off at the end of the reception. This 15″ Galvanized Metal Bucket is perfect for displaying sparklers for your wedding exit send-off! Our #36 Inch Gold Wedding Sparklers and our #20 Inch Gold Wedding Sparklers will fit perfectly in this tall, beautiful bucket. Fill the bucket 3/4 full of sand and arrange the sparklers in the bucket. You can place the bucket on table next to the wedding exit door for your guests to grab. Remember to have extra BBQ or butane lighters to light our sparklers. A regular match or lighter is not strong enough to light the sparklers because they are double-dipped. 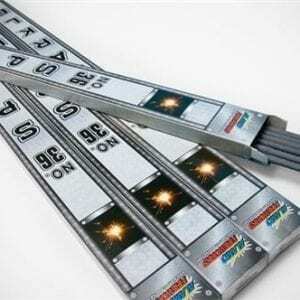 We do provide a box of #10 inch sparklers to make the lighting process go quickly and smoothly. The bucket is a great place for guests to put their used sparkler in after the bride and groom have made their way through the sparkling tunnel. 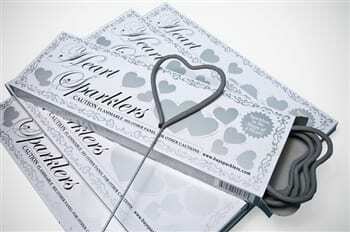 Your wedding venue will be thrilled that sparklers will not be tossed on the ground. Remember that the sparkler will remain hot for quite awhile and having a place to dispose the sparklers will ensure proper safety at your wedding.